Shelf Drilling is a specialized jack-up drilling contractor with operations in North Africa, the Middle East, Mediterranean, South East Asia, West Africa and India. Our team – with decades of experience – seeks to provide the safest and the most reliable fit-for-purpose jack-up drilling services to build long-term and mutually beneficial relationships with our customers, suppliers, investors and employees. Shelf Drilling has many global opportunities for junior and experienced professionals to join our rigs, shore-based offices, and headquarters in Dubai. 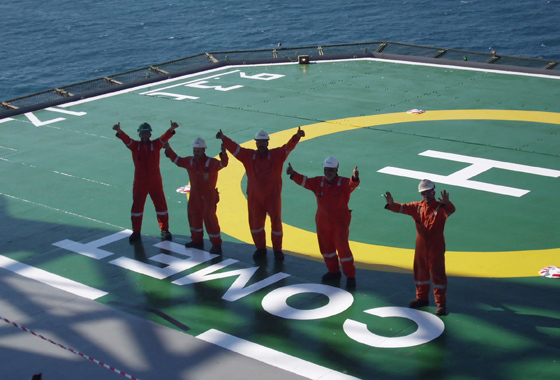 Shelf Drilling is looking for ambitious and motivated individuals who are seeking a rewarding challenge. We offer opportunities to develop your career with many global mobility and international assignments, along with very competitive packages. We welcome you to become part of our growing success. If you are interested in a career move to a dynamic, growing company, please explore our Current Opportunities or Create your profile and submit your CV. We look forward to hearing from you! Shelf Drilling (nor any of the placement firms that recruit on our behalf) does NOT require potential candidates to make any form of advance payment as part of the hiring process. Shelf Drilling has been made aware of “scams” whereby unauthorized individuals have falsely advertised or promised high paying job opportunities and then requested payment of monies by the candidate to supposedly cover processing fees, visas, work permits or other formalities. These “scams” typically support these “offers” with forged documents giving the appearance of an official communication, including the use of the Shelf Drilling logo and links to the Shelf Drilling website.